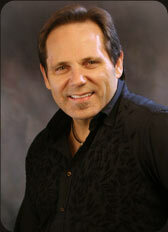 Hi, I’m Dr. Dennis Wells, a Nashville cosmetic dentist with more than 30 years of experience. I love helping my patients leave my office with their smiles restored and rejuvenated. But as much as I appreciate my patients, I would prefer to see them a lot less often – because it would mean their teeth were healthier! Here at Nashville Center for Aesthetic Dentistry in Brentwood, I specialize in creating brighter, whiter, straighter, more beautiful smiles. This often includes restoring teeth that are damaged or missing due to disease, decay, or injury. I am passionate about providing tooth restoration, including dental bridges, crowns, veneers, and dental implants. But I am even more passionate about preventing the maladies that can lead people to my office in the first place. So what can you do to keep your teeth strong and healthy? Brush and floss daily. In a perfect world, you would brush your teeth not only morning and night, but also after meals. I know many of my patients can’t get around to brushing that often, but twice daily is a good compromise.And remember, flossing is just as important as brushing. It removes plaque in hard-to-reach places and prevents gum disease. Eat a healthy diet.Limit sugar intake and snacking between meals. Put down the energy drink or soda and replace it with a refreshing glass of water. Try to couple acidic foods (like oranges and other fruits) with less acidic foods (like cheese and milk) to balance the acids in your mouth that can lead to tooth decay. See your Nashville hygienist for your customized cleanings and checkups. This can prevent common problems because they will be caught early on when they are easier (and less painful) to treat. Don’t wait until it hurts to see your dentist! Ask us questions! If something is bothering you about your teeth or mouth, don’t be afraid to ask your dentist. For instance, if you notice that you wake up with a tight, painful jaw in the mornings, ask about it – you might be grinding your teeth, and your Brentwood dentist can give you a night guard to prevent related tooth problems. That was just one example, but it’s a common one. Just remember: we like questions. They can prevent needing dental work later on! This was just a quick overview of things you can do to keep your mouth and teeth healthy. If you have any questions or would like to know more, don’t hesitate to give Nashville Center for Aesthetic Dentistry a call at (615)371-8878. Set up an appointment to discuss your oral health and what we can do for you.